New York Islanders: With John Tavares Gone Who's the Next Captain? July 1, 2018, is a candidate for the worst day in New York Islanders history. In losing their franchise player and captain, John Tavares, the team will most likely go from a contender for a playoff spot to a contender for the top pick in next year’s draft. Making matters worse, the team panicked after losing Tavares and brought in veterans Leo Komarov and Valtteri Filppula as well as Tom Kuhnhackl. For the sake of my own sanity, today I won’t be ranking the worst days in Islanders history. Instead, I’ll be taking a look at seven players who could replace Tavares as team captain, a position he held since the 2013-14 season. Honorable mention: Jordan Eberle has worn the ‘A’ before with the Edmonton Oilers but he has only been with the Islanders for one season and only has one more year left on his contract. If he extends with the team, that’s a different conversation. 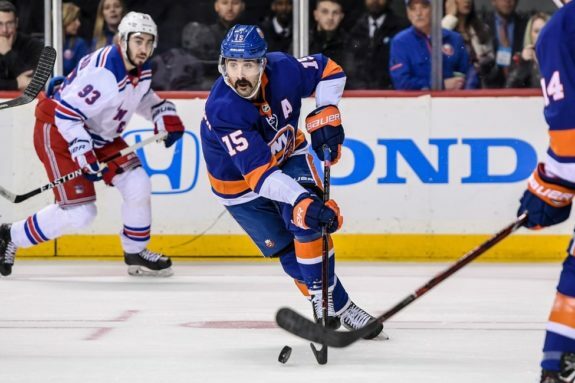 Why he should: With 714 games and 10 seasons of NHL experience under his belt, Cal Clutterbuck is an interesting candidate for the vacant captaincy. After playing five seasons with the Minnesota Wild, the 30-year-old has spent the last five with the Islanders. 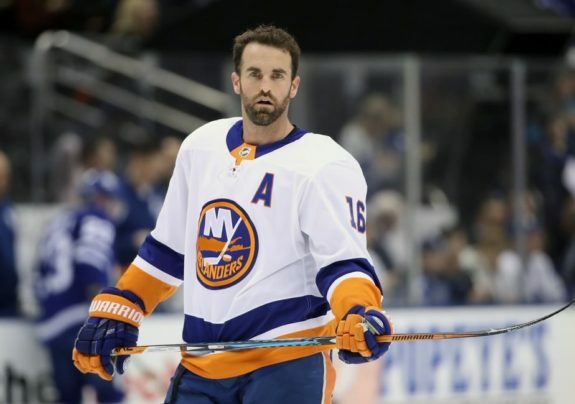 Ahead of the 2016-17 season, the Isles announced they would have three alternate captains: Andrew Ladd would wear the ‘A’ in every game while defenseman Travis Hamonic would switch with Clutterbuck every other game. During June 2017, Hamonic was traded to the Calgary Flames and Clutterbuck wore the ‘A’ in every game that he was in the lineup last season. 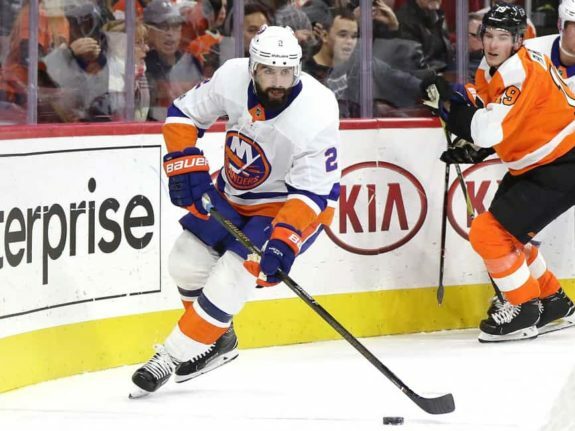 Why he shouldn’t: Clutterbuck has been an injury-prone player through the later stages of his career and has never played a full 82-game season. He played 76 games last season but only 66 the year prior. While he might be vocal in the locker room (I have no idea if he is or isn’t), his on-ice play isn’t something that players should strive to copy. Don’t get me wrong, he’s physical and he plays a simple game, but scoring eight goals and 18 points in addition to averaging only 12:47 a night isn’t too impressive, especially if you have four years left on a deal that pays $3.5 million annually. Why he should: Johnny Boychuk is a veteran defenseman of 587 regular-season games. He knows what it is like to win (capturing the Stanley Cup in 2011) and knows what it is like to come painfully close (a heart-breaking Game 6 loss to the Chicago Blackhawks in the 2013 Stanley Cup Final). 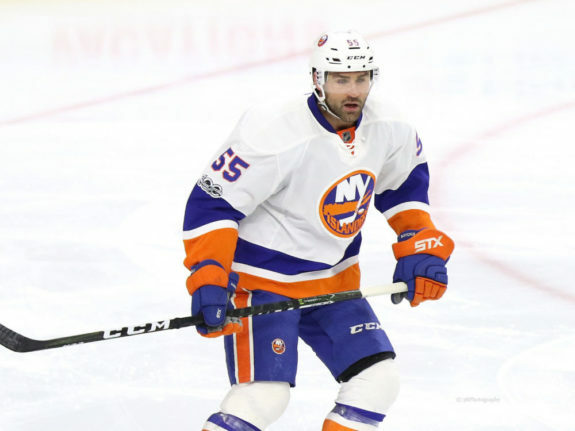 In games where one of Tavares, Ladd, or Clutterbuck were absent from the lineup, Boychuk often wore the ‘A’. 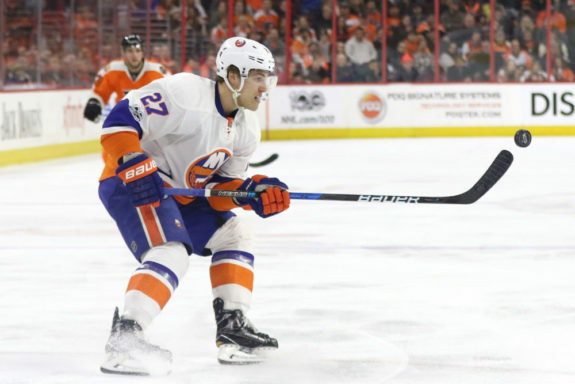 While it may not be his role next season with the emergence of Ryan Pulock, Boychuk has played in a top-pairing role for most of his four seasons with the Islanders. Why he shouldn’t: Like Clutterbuck, Boychuk has never played a full 82-game season and as he gets older, he becomes more and more injury-prone. He played 58 games last season and 66 the year before. The 34-year-old has four more years on his deal that pays him $6 million annually. Why he should: As of now, Nick Leddy is the team’s number one defenseman. He has occasionally worn the ‘A’ when a member or two of the leadership team is out of the lineup. At just 27 years of age, Leddy already has 578 games of NHL experience and has won a Stanley Cup with the Blackhawks (against Boychuk and the Bruins in 2013). Leddy is also locked up for another four years on a deal that pays him $5.5 million annually. By naming him captain, he can serve for four seasons and then pass the torch (if he doesn’t re-sign). Why he shouldn’t: Plus/Minus is an overrated stat, but he was still a league-worst minus-42 on the worst defensive team of the decade. While he might be a decent short-term option as captain, there are simply better candidates. Why he should: Andrew Ladd has been captain before, donning the ‘C’ with the Winnipeg Jets from 2011 to 2016. He is a two-time Stanley Cup champion, winning with the Carolina Hurricanes in 2006 and again with Blackhawks in 2010. In 920 regular-season games, he has 245 goals and 626 points. Since signing with the Islanders on the opening day of the 2016 Free Agency, Ladd has worn the ‘A’ with the team in every game he has played in. Why he shouldn’t: Ladd might seem like the obvious candidate but he’s not. His game is clearly on the decline and it wouldn’t be a popular choice among most fans, who have been critical of his seven-year contract worth $5.5 million annually. After losing Tavares in perhaps the worst way possible, this is a move the majority of the Isles fanbase would hate. 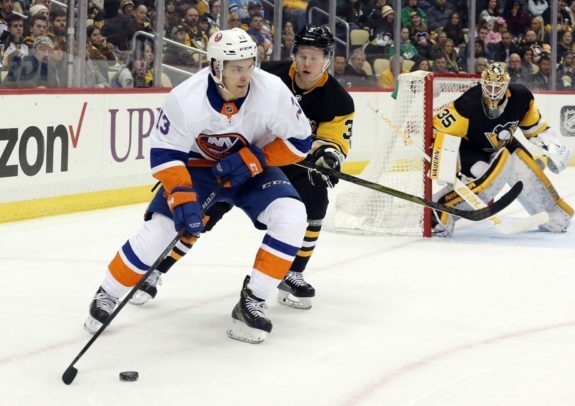 Why he should: Anders Lee, quietly, has become one of the greatest goal-scorers the Islanders have had in their post-Dynasty era. He scored 34 goals in the 2016-17 season and after everyone called it a fluke, he went on to pot 40 the next season. Lee, a former sixth-round pick, is a pure scorer and one of the hardest workers on the team. He isn’t the fastest but he finds other ways to be effective. Why he shouldn’t: The only knock against Lee as captain is that after this season, he will become an unrestricted free agent. As of now, the Islanders should have no problem signing him given their salary cap situation, but what we’ve learned from Tavares is that sometimes money isn’t everything. If Lee signs an extension, perhaps he would be the perfect candidate for captain. Why he should: With Tavares gone this is Mathew Barzal’s team. The Calder Trophy winner scored 85 points in 82 games (one point more than Tavares) and now it’s time for him to lead the Isles to the promised land. Wouldn’t it make sense for him to have the ‘C’ on his chest in the process? Barzal was the captain of the Seattle Thunderbirds in his final two seasons in the WHL, leading them to a championship and a Memorial Cup appearance in his final year before making the jump to the NHL. Giving a player the captaincy fresh off their rookie season is uncommon but it has been done before. Connor McDavid only played 45 games in his rookie season but still got the ‘C’ for the following one and led the Oilers to the second-round of the playoffs. Why he shouldn’t: Barzal is already facing a lot of pressure heading into the season. He knows that he (unless the team can find a replacement for Tavares) will become the number one center and that he will now face tougher matchups. The last thing the Isles need is to add unnecessary pressure onto Barzal by naming him the captain. 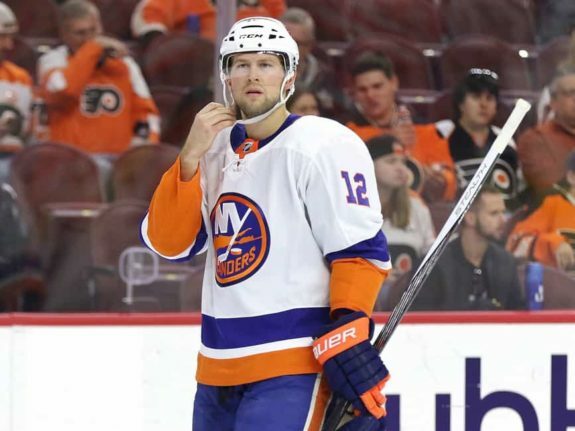 Why he should: After Frans Nielsen and Kyle Okposo left via free agency, Josh Bailey became the longest-tenured Islander and with Tavares gone, he is the longest-tenured by far and his new, team-friendly five-year deal will kick in for the 2018-19 season. In 715 regular-season NHL games, the 2008 ninth overall pick has 124 goals and 377 points including a career-high 2017-18 campaign with 18 goals and 71 points. Why he shouldn’t: Bailey has never been given the ‘A’. Like so many others on this list, he has occasionally worn the ‘A’ when others were out of the lineup but, to me at least, it raises a red flag. He has been with the team for a decade and has been part of some pretty bad Islander teams. How is it that he has never been named an alternate captain? Even if he might be the best option, it seems hard to make the jump from no leadership to captain. It’s possible the Islanders could head into next season without a captain but eventually, they’ll need one. Through the 46 seasons of their existence, only once has the team not had a captain (the 1996-97 season). Will the 14th captain in franchise history be one of the seven names on this list or someone else?